How important is it to assign busy work over the summer? Alfie Kohn weighs in. Unfortunately there is an overlooked yet harmful epidemic going on in school districts across the country practiced simply because it is accepted as “conventional wisdom”. This, despite 40 years of documented research to the contrary, and validated by today’s most educational scholars not to mention the families experiencing it, proving it has no value. I am speaking of course of the long standing practice of assigning homework. As most parents will attest, homework is the great wrecker of family and personal time – never mind the psychological stress it creates in students and parental relationships. “Here Johnny, I know you don’t like this, and it’s unpleasant, but I have to make you do it anyways.” After putting 7 1/2 hours at “work”, students are expected to bring home more with the parents involuntarily being assigned as tutors and homework monitors. Who is the better judge of what a student should be able to do in their personal time: the family or the school? Does homework increase a student’s love of lifelong learning? The research says no. Does homework increase students’ academic success? By weak correlation only and at what price? Does homework increase a student’s self-discipline and responsibility? Examine the research: No! It is, however, a test of the parent’s self-discipline and responsibility. So what is the value of homework? It prepares kids for doing more homework. The truth is that all current research shows there is ZERO benefit for any homework assigned from Kindergarten through 8th grade. Even high-school homework is sketchy at best. Again this is on correlation and not on causation. If you really want to reform the schools, step one is to begin with the elimination of most homework. To learn more, you need to read the book “The Home Work Myth” by Alfie Kohn. The research is the nail in the coffin on this outdated and harmful practice. Colorado Dad discovers secret to whiter teeth! You have enemies ? Good. 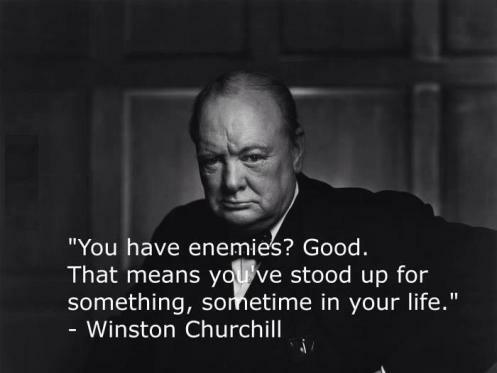 That means you’ve stood up for something, sometime in your life. WC – a man of great wisdom and words. Everything you never wanted to know about correcting an incorrectly installed in ground trampoline. Boing! We inherited an in-ground trampoline when we bought our house earlier this year and its been a great activity for our kids. And the grown-ups too. And that brings us to our project today. This grown-up caused about 4 springs to rip off into the air at about mach 5. NORAD now tracks them in orbit. Needless to say we ordered a new trampoline mat and springs to replace the ruined ones from www.funspot.com (let me know if you buy from these guys). Highly recommended if you need replacement parts and I think the least expensive place on the web. Something you will find out about this SAH dad is that I am frugal, or as my wife translates “cheap”. After receiving the new mat and springs we went to install them only to realize the frame had torqued and was 4″ too wide in one direction across than the other. The reason? The original homeowners did not install a retaining wall in the trampoline pit and therefore over 4.5 years the sides slowly collapsed in on the frame bending it out of shape. Lucky us, we had a surprise Home Depot project. Yea! First we dug the hole out wider and took the old frame out. Once out, it pretty much self-adjusted back into shape. We fit the frame back in the hole to make sure it was round and everything was going to fit up. Note the white spray paint where we marked the location for the 4×4 posts. The hole had to be widened by 4″ all the way around to accommodate the posts that were going in. Next we rented an auger from Home Depot with an 8″ bit and dug 12 holes for 12 48″ pressure treated 4×4’s to be cemented in to hold back the retaining wall. This wall would be built of 36″ high welded wire fence wrapped on the outside with 36″ silt fence wrapped outside of that. See below. The 4×4’s laying on an angle are just for support till the concrete cures. After the 4×4’s cured, I cut two 2×4 horizontal supports to fit between each post. Use a radial miter saw to cut the angles as it saves a lot of time. Next I bent the remaining top 4 or so inches of welded wire fence over the top and tacked both sides at the top with fence staples. I then wrapped the loose silt fence over that and stapled it in place. Last, back fill the trench between the wall and the dirt. Stomp it down and you’ll notice the wire bulge out some. Acceptable give in my opinion. We smoothed out the bottom and lined it with the remaining silt fence sans attached sticks. Colorado is a very dry climate – the evaporation rate is higher than the precipitation rate so I didn’t worry too much about drainage other than grading the top away from the hole. Next drop that frame in the hole, assemble, add springs, mat and voila! Lets see how cheap I really am! I am happy to respond if you have any questions. Have fun! Chuck Norris installs in-ground trampolines with a roundhouse kick to the kit to assemble it then he stares it down..literally, he stares at it till is sinks into the ground with fear. It usually only takes about 3 seconds.